Network Effects are the most powerful force in business. They produced some of the most iconic products and companies ever. Examples: WhatsApp, Airbnb, Google, Amazon, Alibaba, Uber, ebay, Facebook, Opentable, WeChat and Twitter. Here are my favorite posts on Network Effects. Anu gives the best explanation of the differences between networks, marketplaces and platforms. 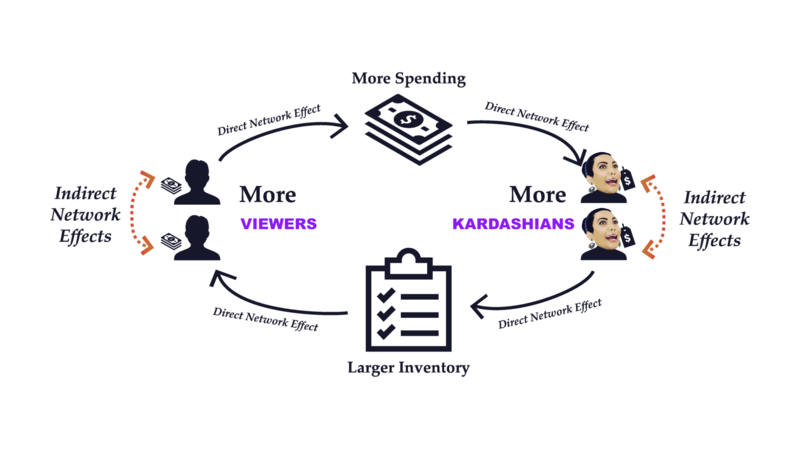 Anu Hariharan and a16z put together an awesome slideshare deck network effects. Bill Gurley’s “All Markets Are Not Created Equal” is a legendary post for anyone thinking about building a marketplace. Pete Flint outlines the building of Trulia’s network effects. Trent Giffin’s “A Dozen Things I’ve Learned about Multi-sided Markets” is insightful and very easy to digest. I recommend reading everything Trent writes. Multi-sided markets bring together two or more interdependent groups who need each other in some way. A critical difference between single and multi-sided market is that the sides interact directly. Multi-sided markets are not linear. A multi-sided market is not valuable if the sides can find each other easily. “Demand side economies of scale” result when the value of a product or service changes in a positive way as more people use it. “Supply side economies of scale” exist when there are reductions in the average cost per unit associated with increasing the scale of production. The chicken and egg problem is best overcome if one side is clearly made the loss leader. The sides of the market should complement each other – if the sides are complements, it not only reduces the customer acquisition cost (CAC) but assembles sides that want to to enter into exchanges. Subsidizing the side of the multi-sided market with lower marginal cost/COGS is optimal. Businesses that are slow to get to critical mass can run out of cash and momentum. Clear profit pools should exist. They list out each type of network effect with a diagram, explanation of properties and example companies. The NFX team goes even further with Network Effects by creating “The Network Effects Bible”. The post and slideshare are incredibly insightful and a must read for every founder. Network Effects aren’t just for tech companies.